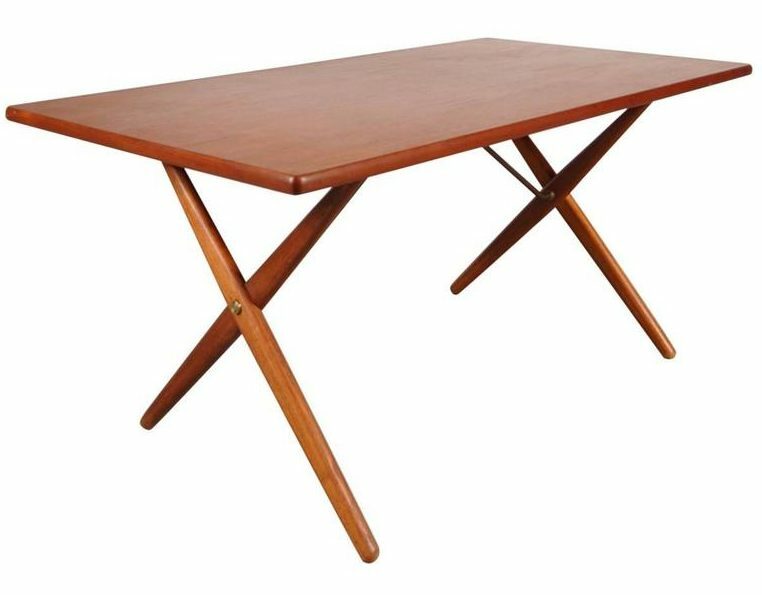 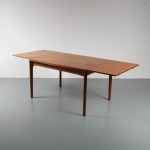 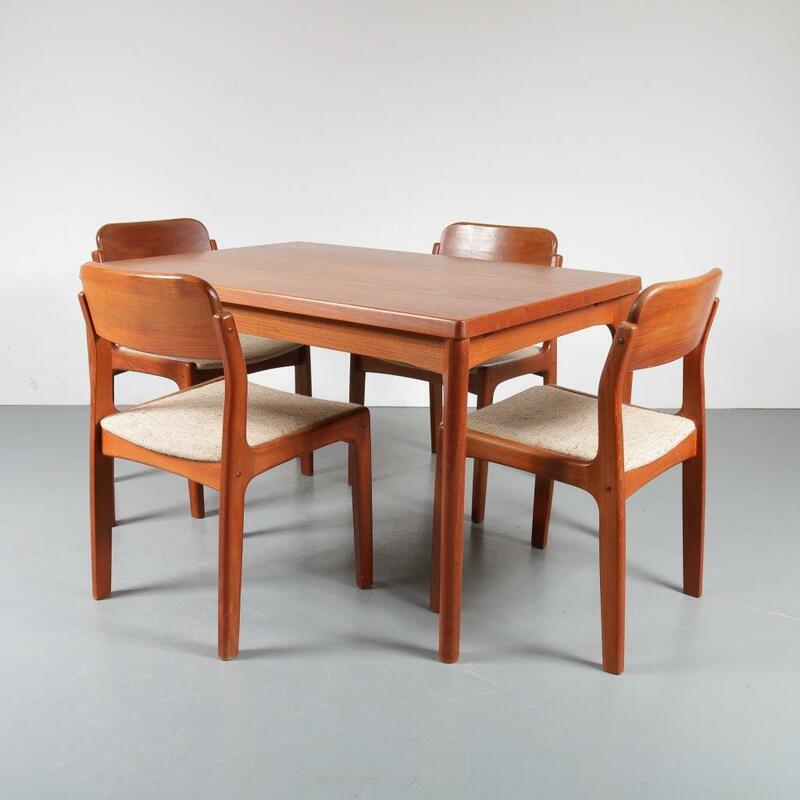 A beautiful quality dining set in highly recognizable Scandinavian design. 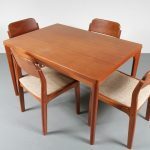 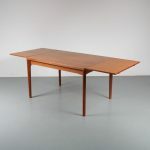 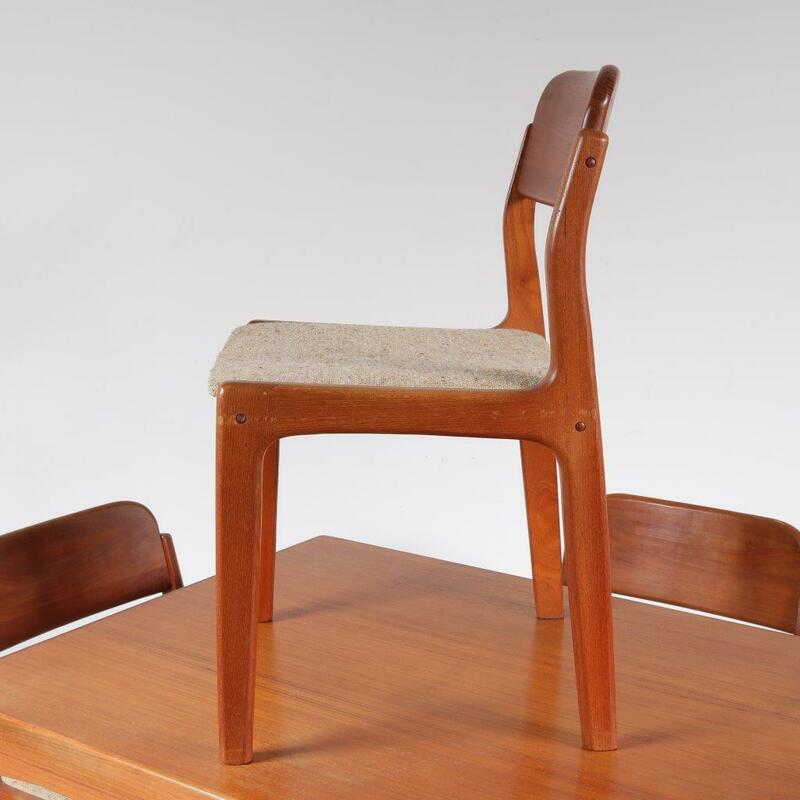 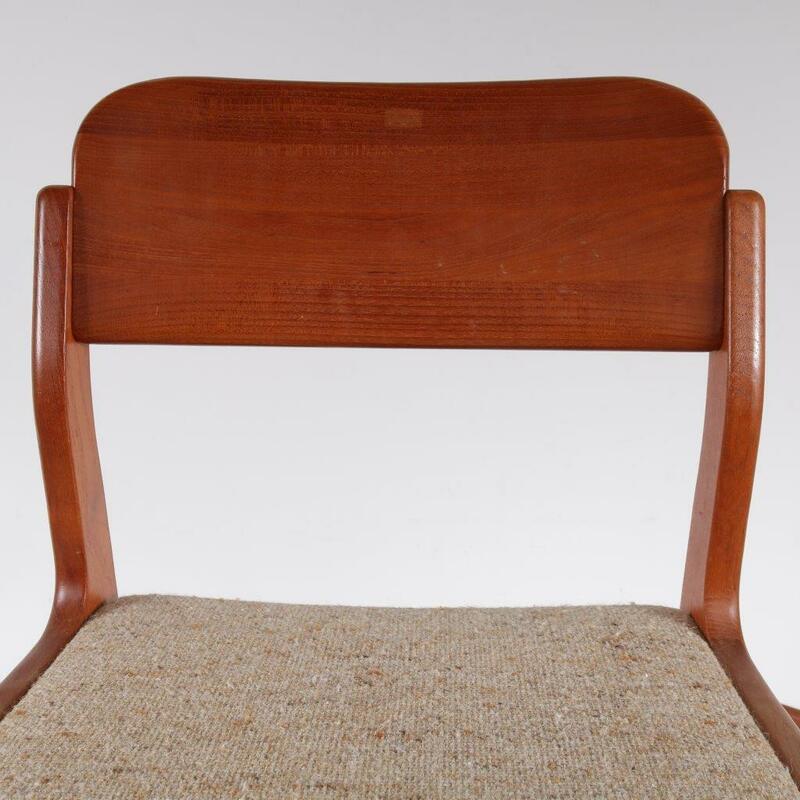 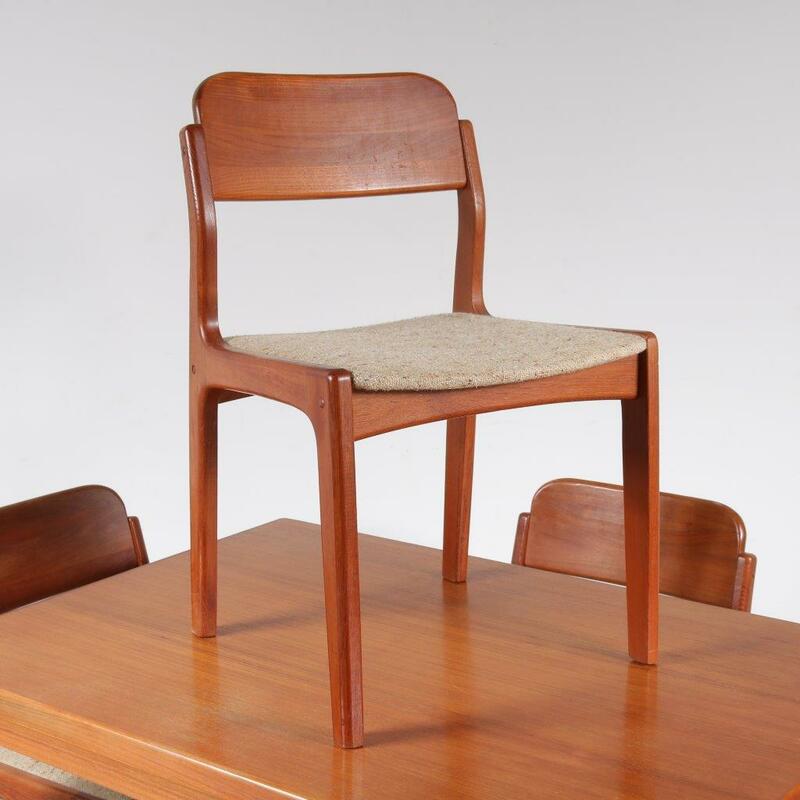 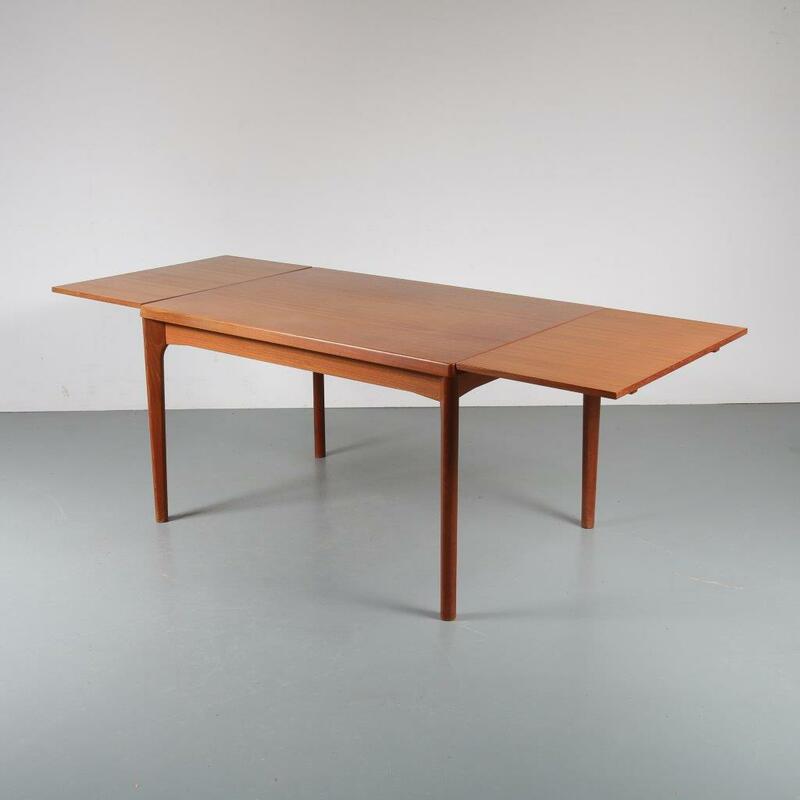 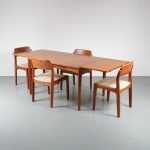 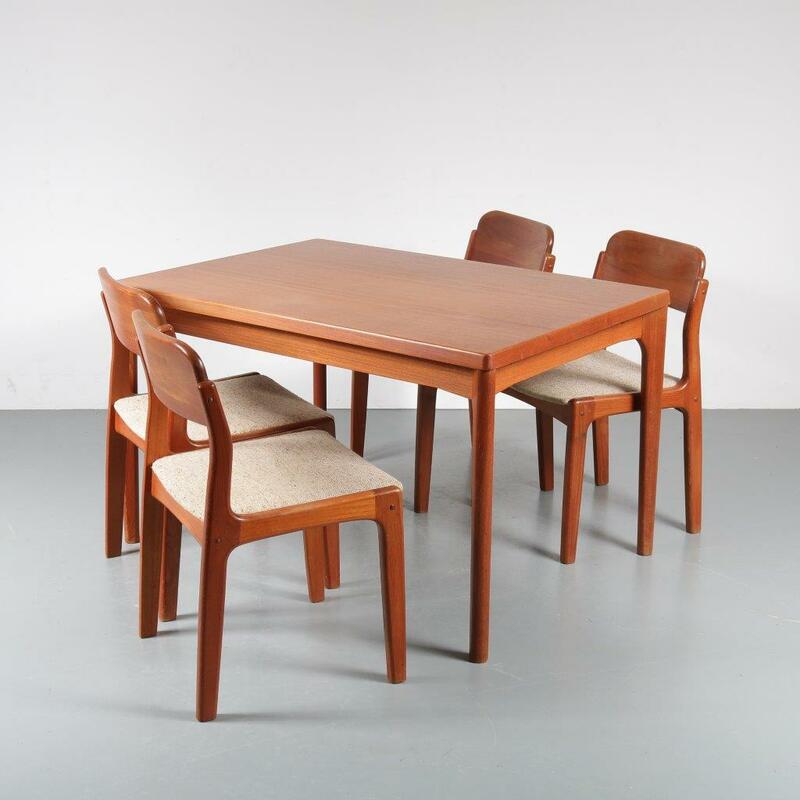 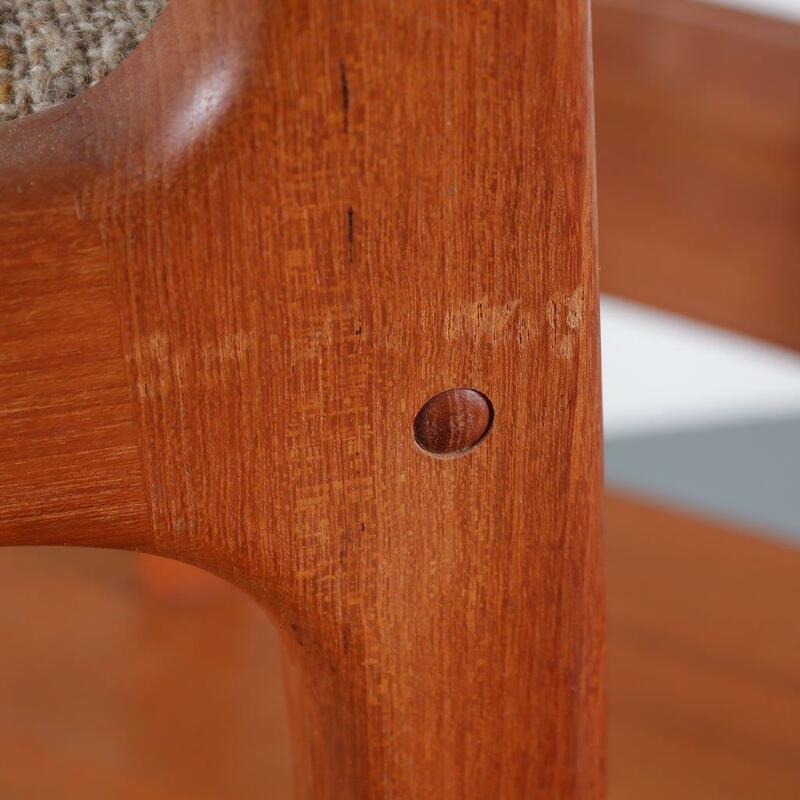 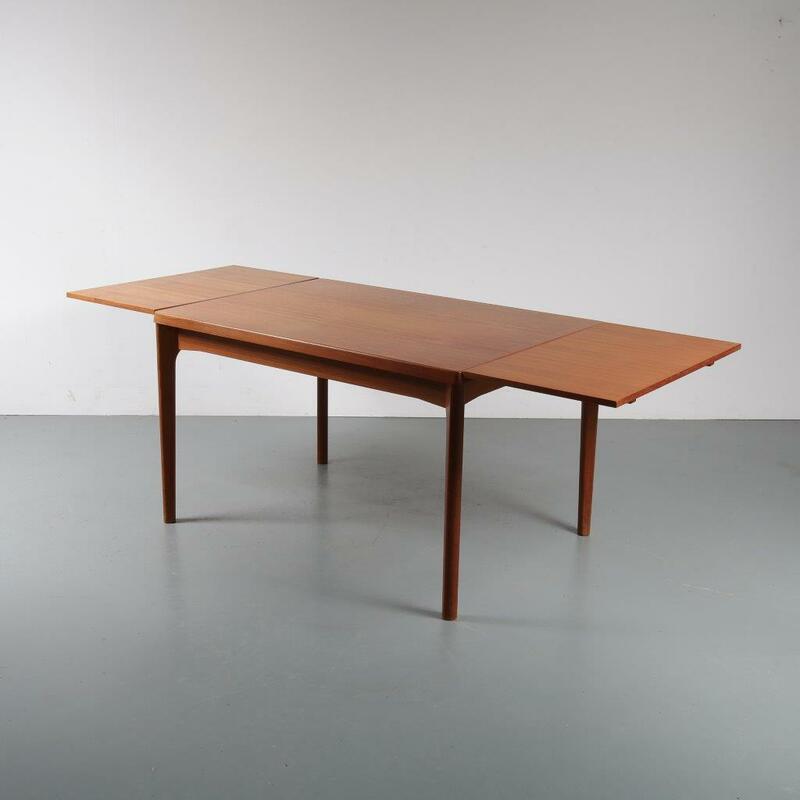 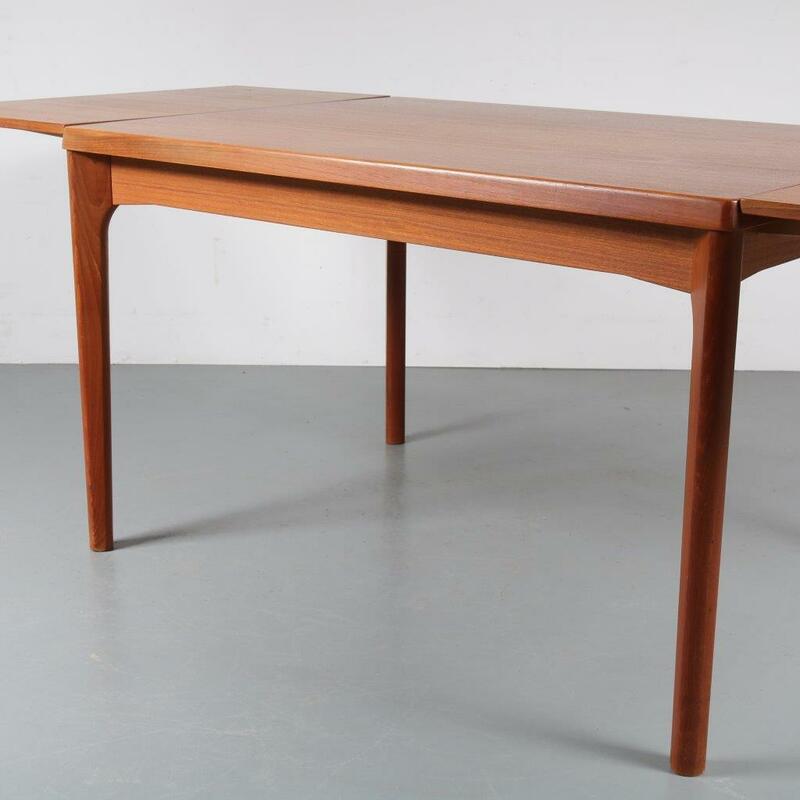 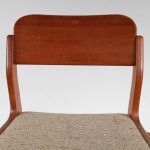 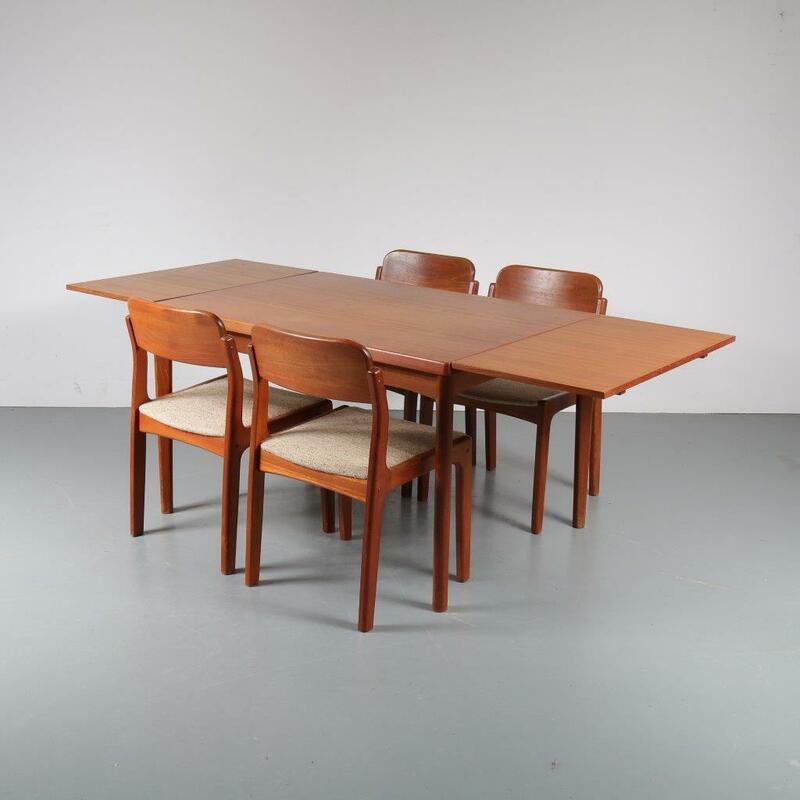 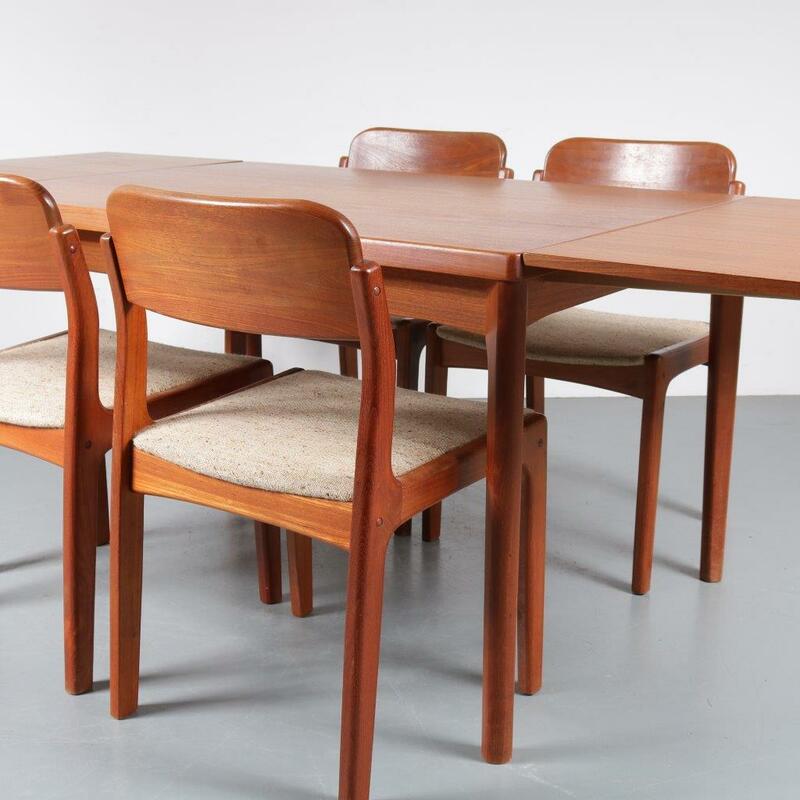 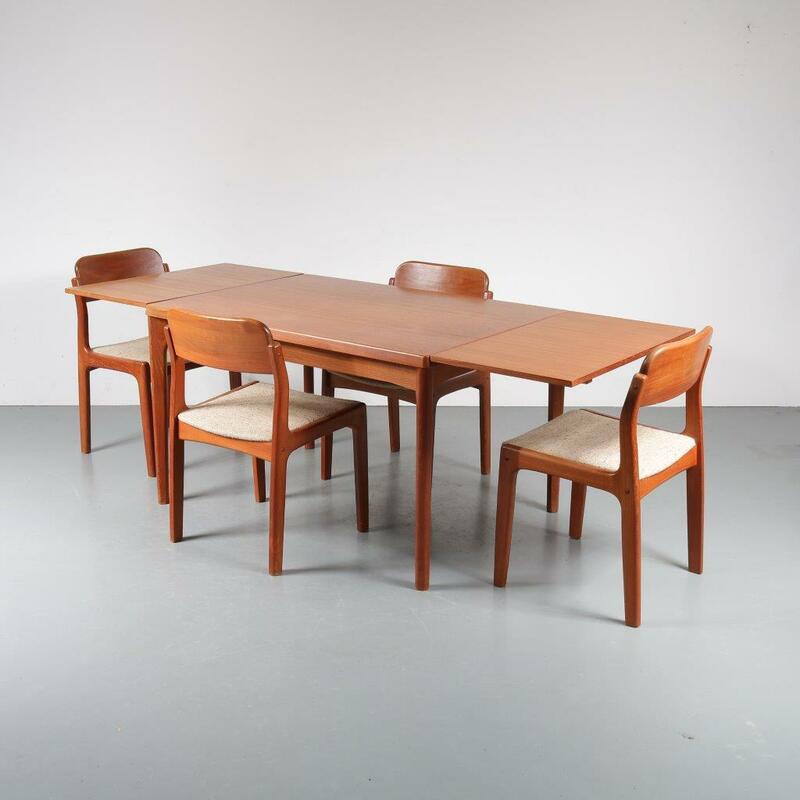 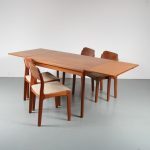 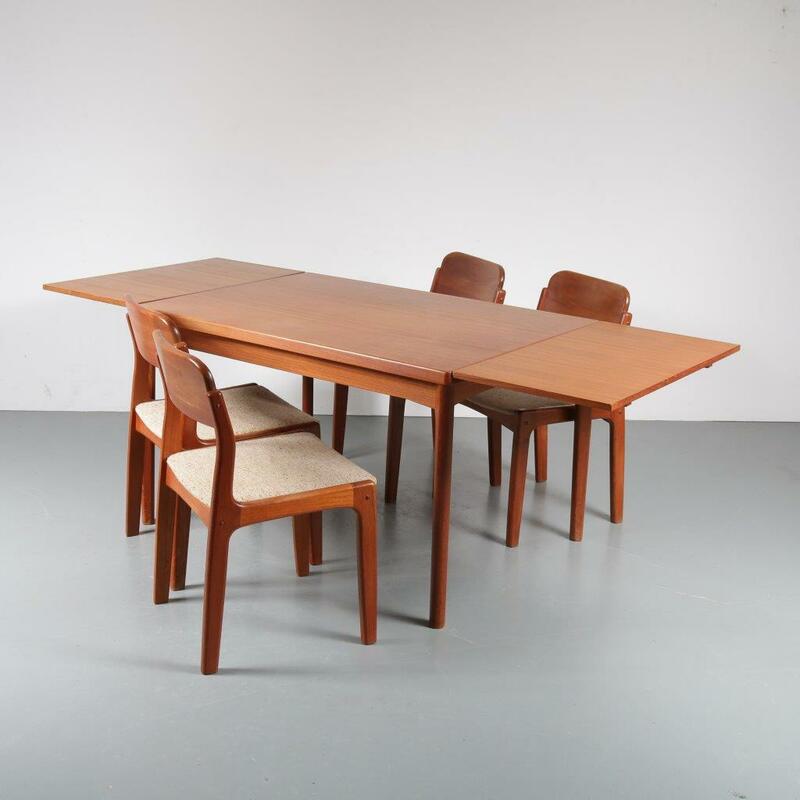 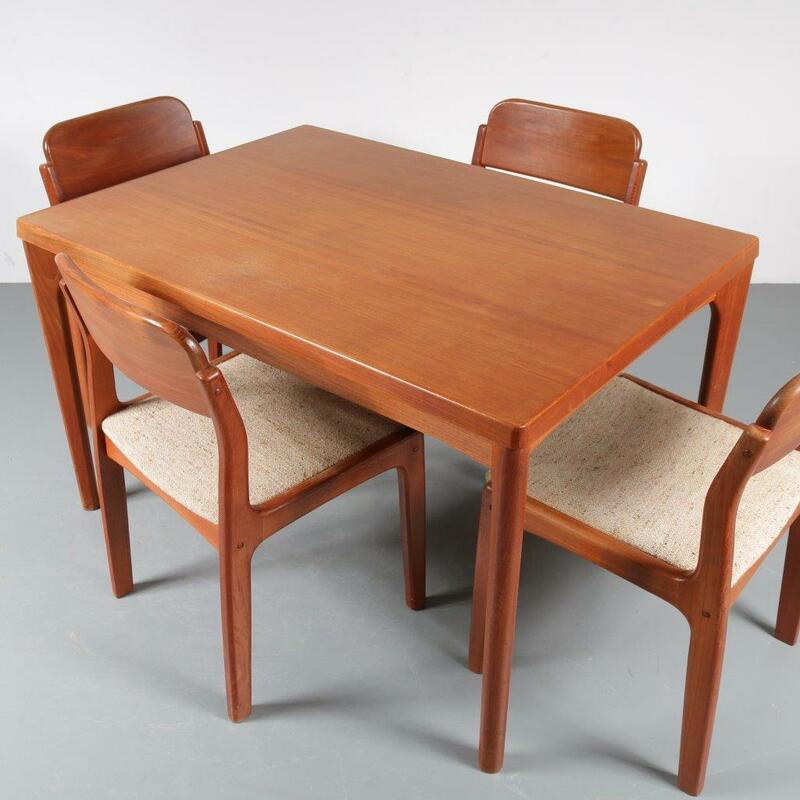 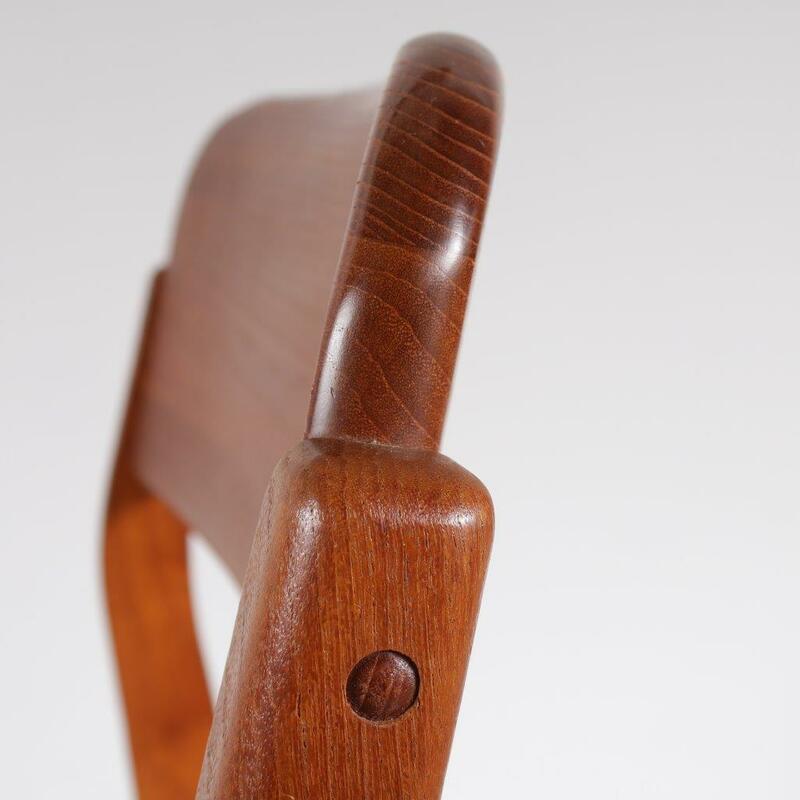 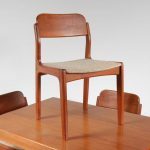 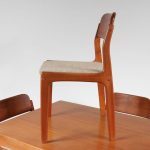 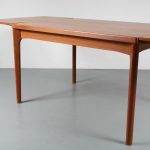 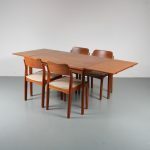 This dining set by Henning Kjaernulf was manufactured in the 1960s. 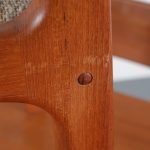 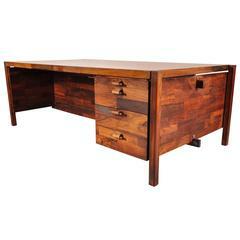 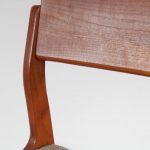 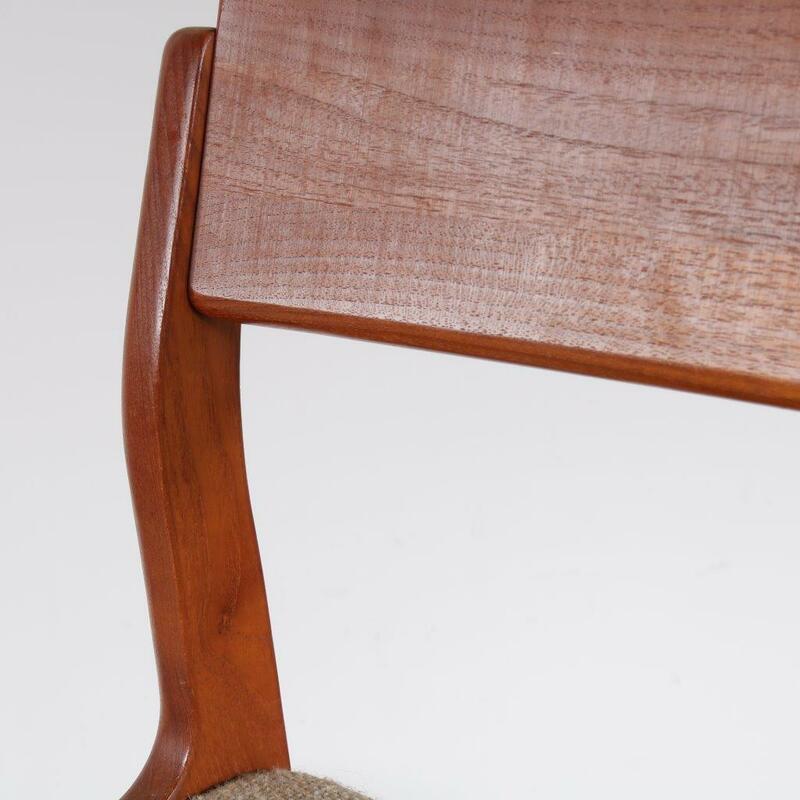 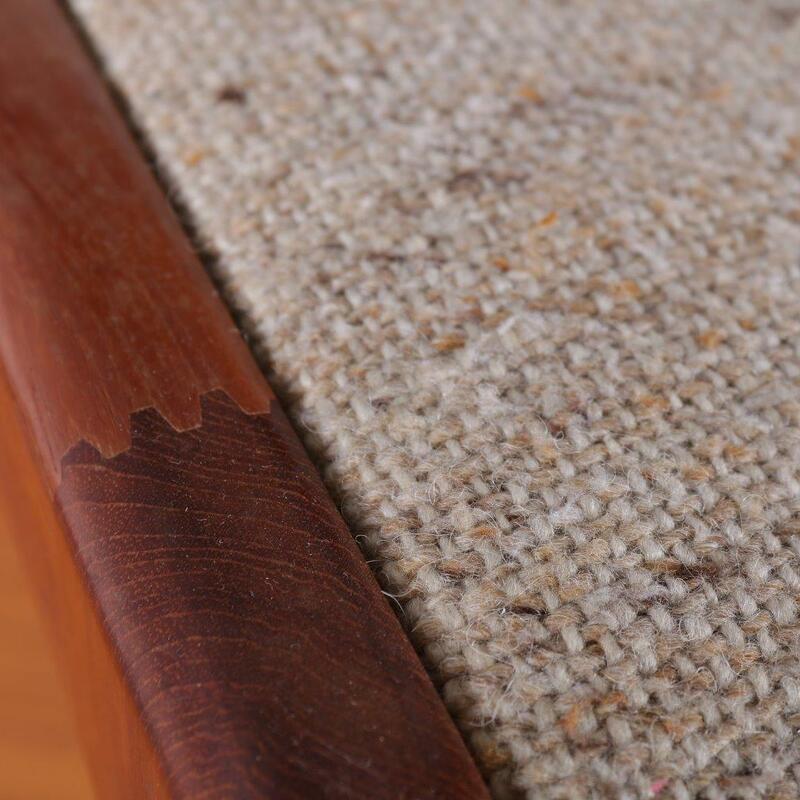 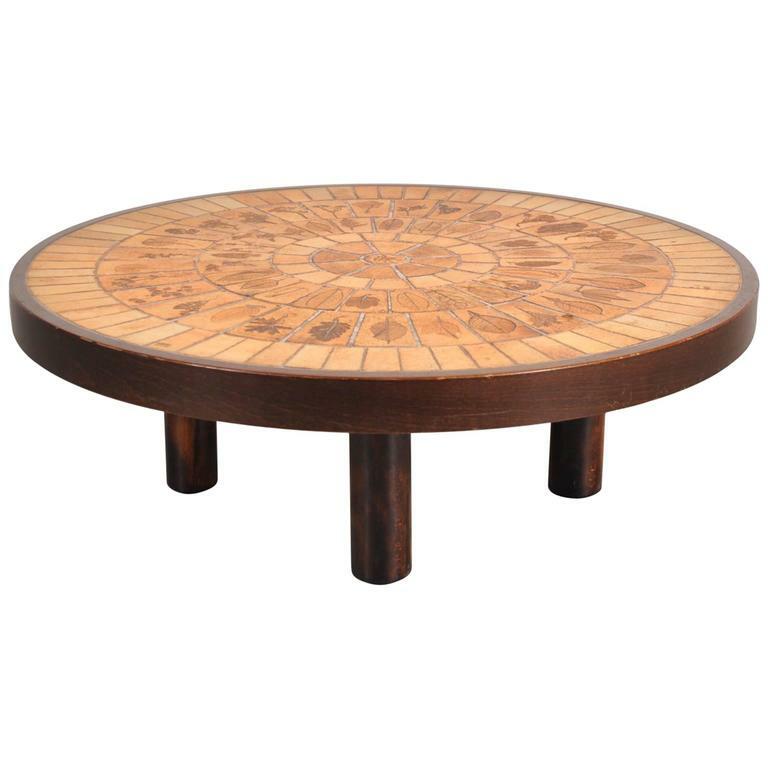 It is crafted of high quality warm brown teak wood with a beautiful smooth finish and wonderful eye for detail. 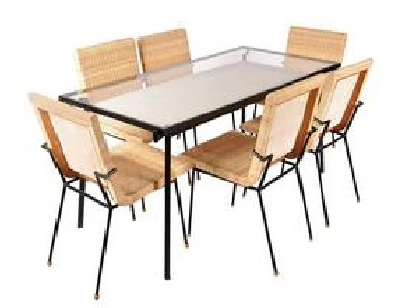 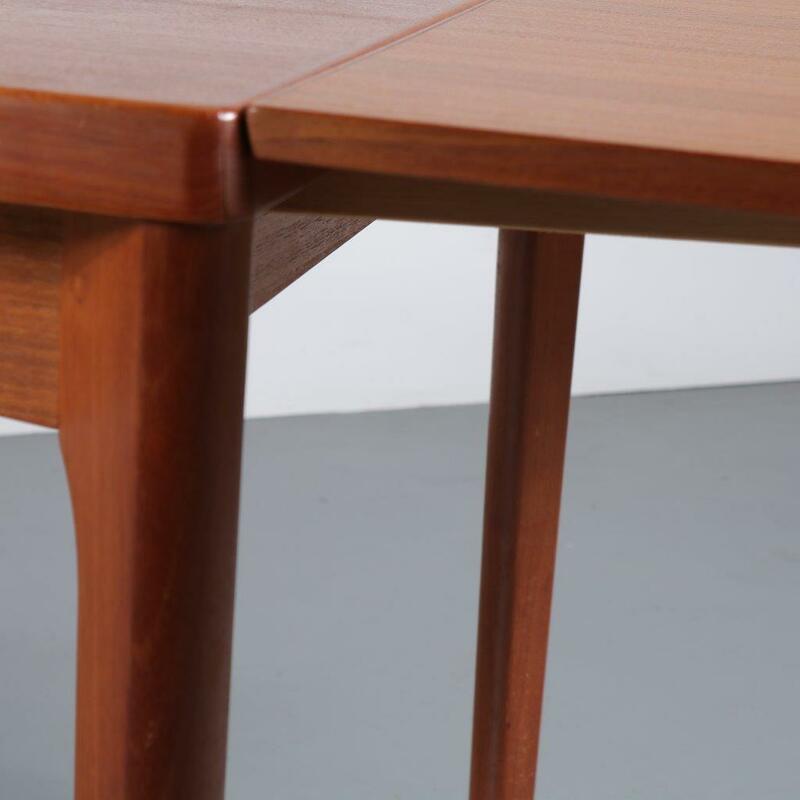 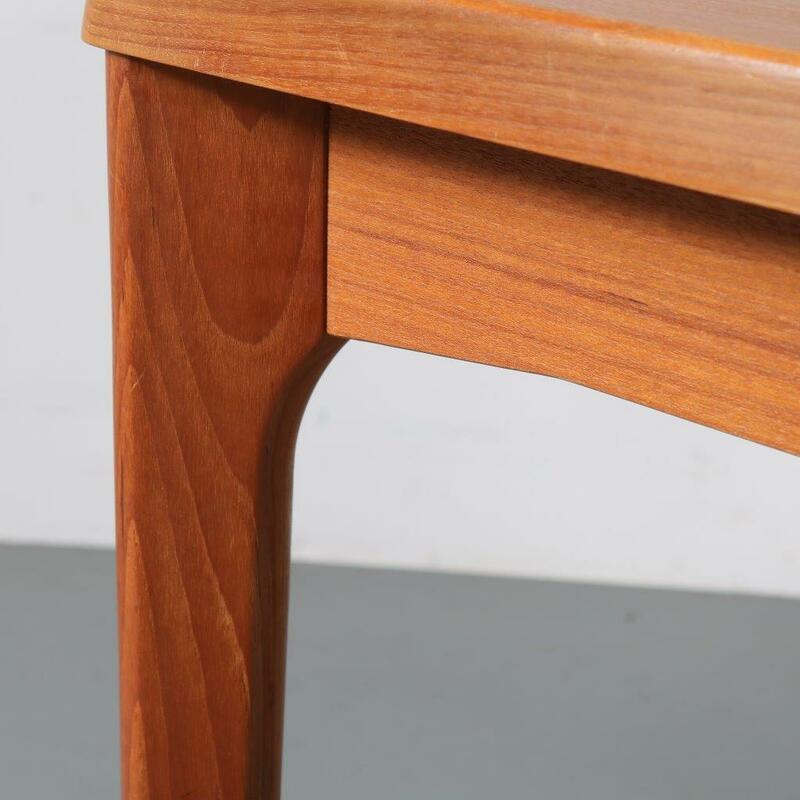 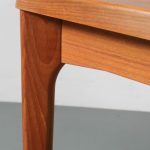 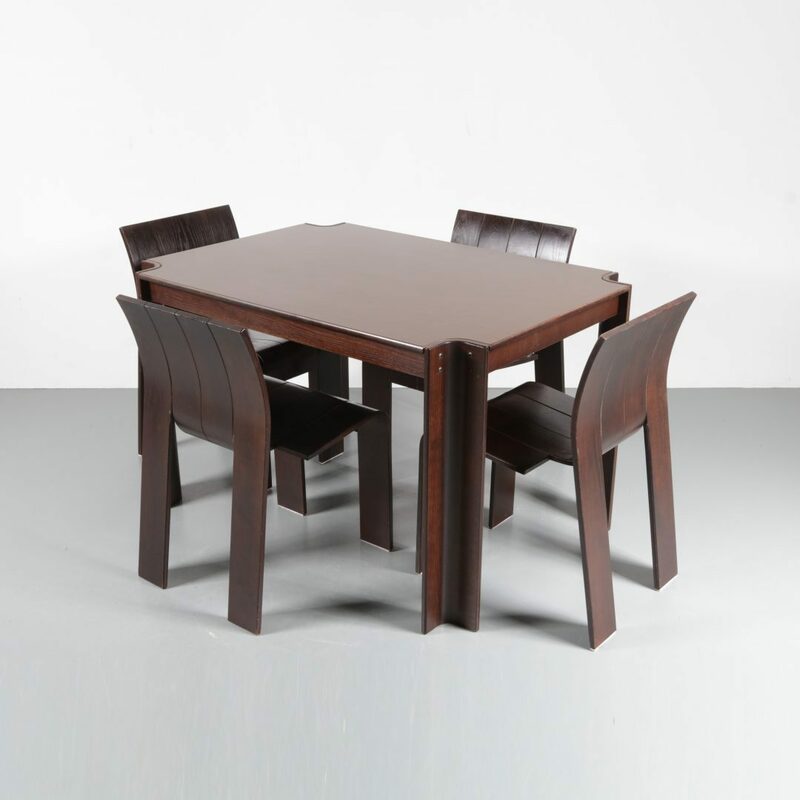 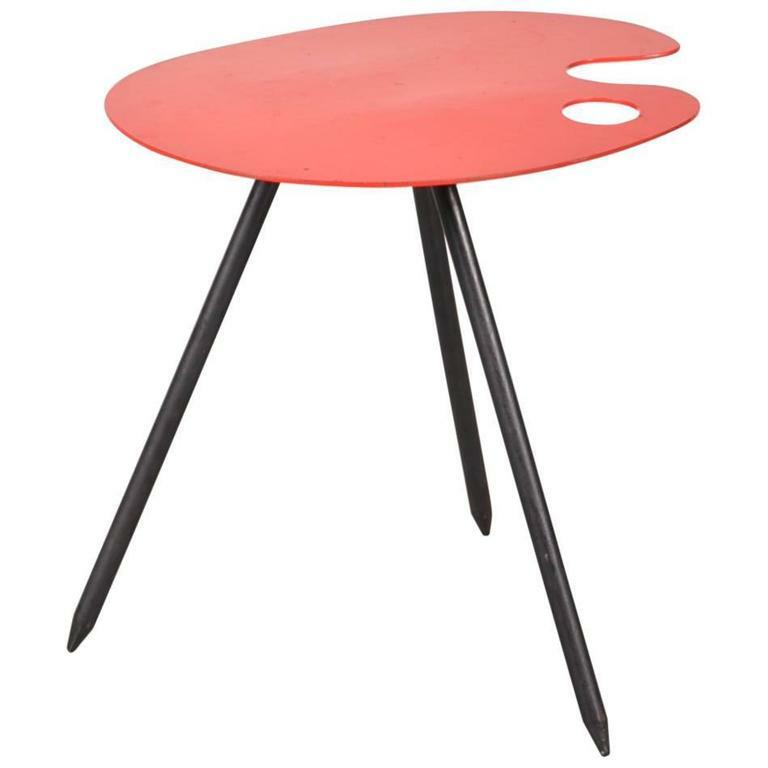 The table is extendable with two extension leaves of 45 cm each, so the maximum length of the table is 174 cm. 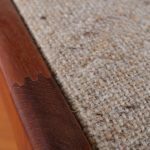 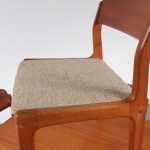 The chairs are upholstered in nice light beige coloured fabric, perfectly fitting for it’s style and adding beautifuly to the overall modern style. 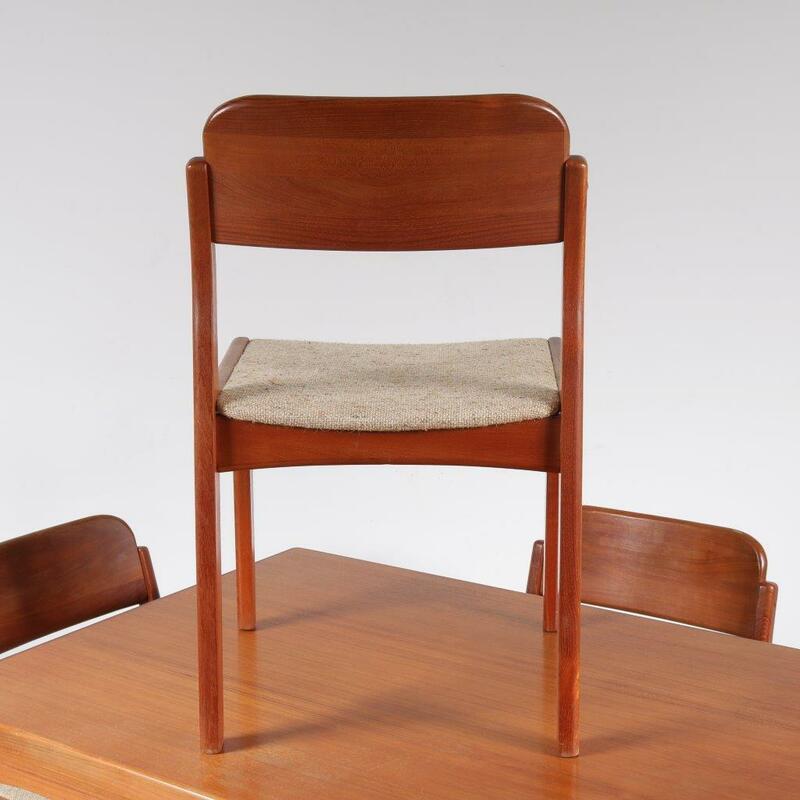 It would make an impressive addition to any decor! The set remains in very good vintage condition with minor wear consistent with age and use, preserving a beautiful patina.